Shlok, a lanky teenager, a daydreamer, doesn't want much from his life. A dream to make his parents happy and affection of a neighbourhood sweetheart, Natasha. Though both are poles apart, their interests bring them close. Together, they experience new emotions. But, just when they are ready to acknowledge their feeling of love for each other, it is too late. The rapids of life set Shlok on an unexpected journey, and he realizes one can't always be in control of circumstances. Unable to crack an important entrance exam and geographical difficulties affecting his love life, Shlok's life goes through turbulent times. Hardly I come across Authors who leave the clichéd genres and write motivating books. Sunshine towns is one of them. This book deals with the hurdles that teenagers faces and the struggle they go through during their secondary school days and college days. The plot has been woven around the protagonist Shlok’s academic failures and successes. I am personally not a person who chooses such books over murder thrillers but this turned out to be quite interesting, amazing and unpredictable and will serve as a motivation to all the kids who are appearing for any sort of examinations. What I really liked in this book is the way shlok’s parents deal with him when he failed In his medical entrance exam and the way they have always been understanding rather being dramatic ( like my parents have always been ), joke apart this book probably might not be appreciated by the season readers but Manish sir will become quite famous amongst teenagers only if he promoted this book well amongst them. The cover n the synopsis just goes well with the story and perfectly fits the plot, I must give credits to the editor, brilliant work has been done by her in making the book flawless, you won’t find a single grammatical error. 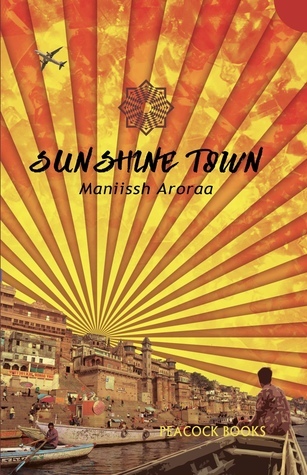 Only if the Author would have worked on the supporting characters like Natasha and Yana, I felt the story is focused primarily around Shlok and I wished to see a lil more of the other characters and the one liners ( I felt they are missing ), this book would have turned out to be a perfect 10/10 read for me. I wil look forward to its sequel to know more about Natasha, as I felt she is the ignored character of this book. P.s This book should be picked up as a Christmas gift or a new year gift by parents whose kids are appearing for competitive exams.